Bangalore, Jan 9 : Karnataka Janata Party (KJP) chief BS Yeddyurappa is all set to make a formal comeback into the Bharatiya Janata Party (BJP), which he had deserted to form his own outfit more than a year ago. Yeddyurappa had earlier voiced his support towards Gujarat Chief Minister Narendra Modi becoming the prime minister and said the merge could strengthen the BJP. The BJP forced Yeddyurappa to resign as Karnataka's Chief Minister in July 2011 after ombudsman report indicted him in the illegal mining case. Sidelined by the BJP top leadership, he subsequently quit the party and formed KJP. New Delhi, Jan 9 : Bharatiya Janata party's prime ministerial candidate and Gujarat Chief Minister Narendra Modi will address a special interactive session of the 12th edition of Pravasi Bharatiya Divas here today. Modi had addressed the delegates of the Gujarat State session at the PBD last year also, but through video conferencing from Ahmedabad. New Delhi, Dec 30 : Delhi Chief Minister Arvind Kejriwal will not attend office Monday as he is not well and has been advised rest. "Running 102 fever since yesterday. Severe loose motions. Sad that i won't be able to attend office today," Kejriwal tweeted Monday. "It was so important to attend office today (Monday). We had planned the water announcement. God, bahut galat time par bimaar kiya (God, you made me fall ill at a wrong time)," he said. His family doctor Vipin Mittal told reporters that he has diarrhoea and has been advised rest. Ranchi, Dec 29 : BJP's prime ministerial candidate Narendra Modi Sunday accused the central government of "escaping from its responsibility in dealing with corruption and price hike". Addressing a rally at Prabhat Tara ground here, Modi said: "The government in Delhi is escaping from its responsibility on price hike, corruption and other issues. Like previous eras, the central government believes in akashvani. The central government comes out with akashvani on price hike, corruption, but it has no plans to fight them." New Delhi, Dec. 21 : Bharatiya Janata Party (BJP) leader Balbir Punj on Saturday said that the government was dragging its feet in the case of former justice A. K Ganguly who has been accused of sexually harassing a law intern, just because he is a former Supreme Court Judge. "Somewhere the government has been dragging feet just because the accused in this case is a former Supreme Court judge," said Punj. "If a noted journalist can go to jail for a similar offence, and a so-called 'holy' man is also not spared, I don't see any reason why the government should spare Ganguly," he said. New Delhi, Dec. 21 : Bharatiya Janata Party (BJP) leader Kirti Azad said on Saturday that the Aam Aadmi Party (AAP) is abusing the Congress on purpose, so that the Congress withdraws its support and releases the pressure from AAP to form a government in Delhi. "On the one hand, the AAP is using offensive language for Congress on purpose so that, the Congress withdraws its support, and releases the pressure from AAP to form a government in Delhi. On the other hand, the Congress has lost complete ground in Delhi, and therefore is ready to give support to AAP, even though they are being abused," said Azad. Mumbai, Nov. 14 : President Pranab Mukherjee will attend the graduation function of Bhabha Atomic Research Centre ( BARC) training school on November 15. Kolkata, Aug 29 : On a day when Prime Minister Manmohan Singh admitted that the "country is faced with difficult economic situation", West Bengal Chief Minister Mamata Banerjee Thursday accused the central government of "selling off" the country for individual interests. "To suit the interest of one or two countries, the country's economy is intentionally being weakened. While the whole country is concerned at the rapid fall of the rupee, why is UPA (United Progressive Alliance) silent," Banerjee asked mediapersons here. Islamabad, Aug 27 : Afghanistan President Hamid Karzai Tuesday wrapped up his extended visit to Pakistan, which focused on Islamabad's role in talks with the Taliban and the release of Taliban prisoners. Karzai was scheduled to conclude his daylong visit Monday evening but the visit was extended on the request of Pakistani Prime Minister Nawaz Sharif, to hold more meetings, Xinhua reported. Both leaders met in the scenic spot of Murree near Islamabad Tuesday for the second time in two days. The two leaders discussed security situation of the region, the prime minister's office said. Kolkata, Aug 22 : Contending that India was passing through "an intolerable economic disaster", West Bengal Chief Minister Mamata Banerjee Thursday wondered "where is the leader of the country" to save the people from economic onslaught and internal and external security threats. "The country is passing through a nightmarish situation. From petrol to onions, from diesel to dollar, prices are skyrocketing. The economic disaster through which the country is passing is simply intolerable," Banerjee said on her official Facebook page. Kolkata, Aug 16 : Describing the Congress-led UPA (United Progressive Alliance) as a "complete failure", the BJP said the central government has survived courtesy the CBI and a few parties who indulge in "double speak". "UPA government has survived courtesy the CBI and 'double speaking' parties. These parties talk and work against the government during the day and bail it out in the evening," senior BJP leader M. Venkaiah Naidu said here Friday. 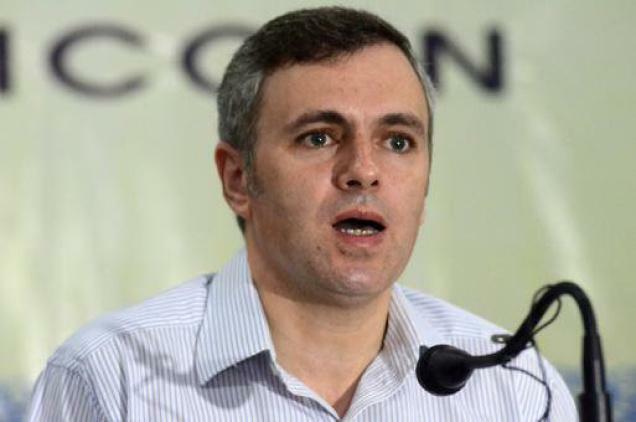 Srinagar, Aug 15 : Pained by the criticism over the communal violence in Kishtwar, Jammu and Kashmir Chief Minister Omar Abdullah Thursday demanded to know why Kashmiris were treated differently. After taking the salute and hoisting the tricolour at the Bakshi Stadium here amid tight security, Abdullah praised Kashmiris for not letting the communal trouble to take a far more serious shape. "I want to salute the people of the state for defeating forces who wanted to spread the tensions and vitiate peace and harmony in the state," he said. New Delhi, Aug 8 : External Affairs Minister Salman Khurshid Thursday said it was not an appropriate time to say anything about the September meeting between Prime Minister Manmohan Singh and his Pakistani counterpart Nawaz Sharif, scheduled on the sidelines of the United Nations General Assembly meet. "Not in a position today to say anything because this is not the time or appropriate atmosphere in which we should be discussing talks. There will be lot of work necessary if we are to talk... but will it be conducive, we need to look at it," Khurshid said. New Delhi, August 1 : In what could be seen as a strong endorsement for P. Chidambaram, Prime Minister Manmohan Singh showered generous praise on his finance minister for being a key backer of reforms and said here was a man "intellectually brilliant" and "politically savvy" while being "capable of taking risks and asserting political leadership." Patna, July 31 : The BJP said Wednesday that it will take action against actor-politician Shatrughan Sinha for saying that Bihar Chief Minister Nitish Kumar is "prime minister material". "BJP will take disciplinary action against Shatrughan Sinha for his statement in favour of Nitish Kumar. It is harmful for the party," party vice-president C. P. Thakur told the media here. Thakur added that the BJP won't stop Shatrughan Sinha if he decides to quit the party. Patna, July 26 : Bihar Chief Minister Nitish Kumar Friday slammed the Bharatiya Janata Party (BJP) over the demand by a BJP MP that the Bharat Ratna be taken back from noted economist and Nobel laureate Amartya Sen.
"This just makes it clear that the decision of parting ways with the BJP was totally correct. What kind of thinking do they have," Nitish Kumar told reporters here. Sen had Monday said that he did not want to see Gujarat Chief Minister Narendra Modi as the prime minister of the country as Modi did not have secular credentials. Washington, July 23 : Vietnam's intensifying crackdown on free expression should be a top agenda item during President Truong Tan Sang's summit with President Barack Obama this week, Human Rights Watch said today. Sang will be in the US from July 24 to 26 and Obama will host him at the White House Thursday. Vietnam's previous president Nguyen Minh Triet visited Washington in June 2007, and Prime Minister Nguyen Tan Dung visited in June 2008. Since those visits, a growing number of dissidents, bloggers, and religious leaders have been jailed in Vietnam, Human Rights Watch said. New Delhi, July 22 : Gearing up for the 2014 elections, Congress ministers, including Finance Minister P. Chidambaram, are educating party spokespersons on issues like the food security ordinance and the state of the economy, party sources said Monday. The United Progressive Alliance's key social welfare initiative, the food security ordinance, top the agenda on the first day of a two-day all-India communication workshop for party spokespersons and media panellists which was opened here by Congress vice president Rahul Gandhi, the sources said.